Can I talk to you whilst you are playing?.. The following tale has been factually enhanced, but is based upon many true life events. Any resemblance to real people, either living or otherwise, is however entirely co-incidental. 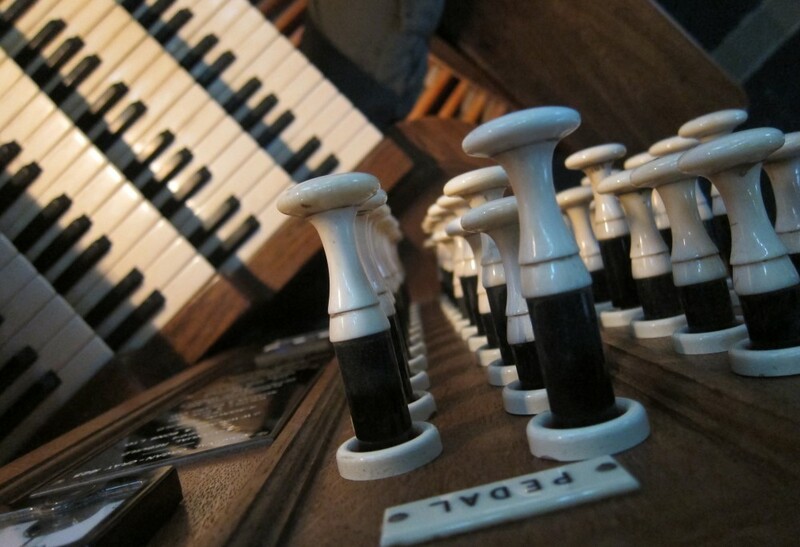 When asked what is actually like ‘playing the organ’, I often struggle to find an analogy. But I shall use this one which grew via a FaceBook stream, (thank you to all those contributors!). It can get no worse – until an angry hornet joins you in the front of the car, and proceeds to get angrier as he bashes his head against the windscreen, then maybe dances around your face, looking for a suitable place to plant his venom. ONE FALSE MOVE – and the whole of life comes crashing down. Well I’d say it’s a lot like that! With the organ though, you are only ever one misplaced toe or an over-moist sneeze away from sounding like a complete idiot! With this in mind, I wonder how anyone who asks you a question when you are playing can ever hope to get any answer out of you that is intelligible, other than a series of rhythmic grunts and groans. “Veedor stack-arter” you manage to hiss through pursed lips and gritted teeth, as you reach the particularly difficult pedal bit…. “Yes, as long as I can tickle your feet when you are saying your vows”! 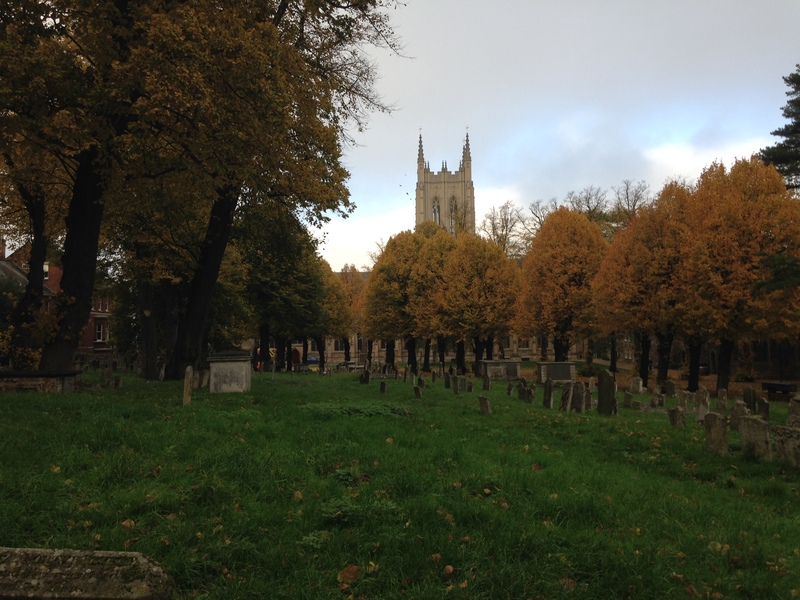 Towards Advent, Christmas and Winter ‘Flu…. So the question now is – when is it a good time for the choir to start practicing for the Christmas Carol Service, or the Advent Carol Service? October… too early. What, really?! Well, amidst a couple of groans from the back row, we dragged out a new carol last week, which will get its’ first St M’s outing at our Carol Service in December – so do we get the prize for the first rehearsal of a carol – in October? If ‘Poundland’ can be playing Christmas muzak in September – then surely we can start preparing now? Here is our November Music List (subject to change, due to winter flu, inclement weather, subject to availability, while stocks last, etc). I know as soon as you ‘publish’ something like this, you are at the mercy of your choristers resisting the winter sniffles and snoffles, parties, visits to families in far-off places. So, like all of you D of M’s up and down this country, I reserve the right to change the programme on the day, at five minutes’ notice if necessary! We have all really enjoyed learning “We will remember them” (Elgar), as we prepare for our Civic Remembrance Service on Sunday 12th. This is a very poignant anthem for us, and to my mind is the most beautiful setting of the Laurence Binyon’s infamous words “They shall grow not old, as we that are left grow old: Age shall not weary them, nor the years condemn. At the going down of the sun and in the morning, We will remember them”. (From “For the fallen”, written 1914). For many in the choir, our trip to Ypres, the WWI war graves and the Menin Gate in 2011 will be a life-long reminder of the sacrifice made by so many young men, their names etched on the gate and their graves laid in seemingly never-ending rows in the war cemeteries. For those who have experienced this, and for our choir, it stresses for us the importance of Remembrance Sunday in our church’s year. 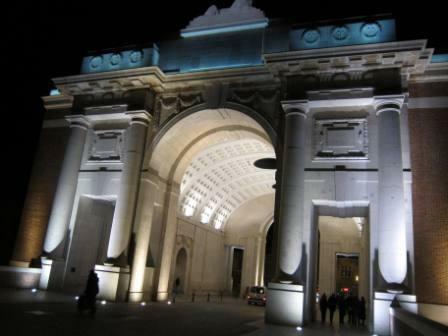 St Mary’s Choir had the unforgettable privilege of taking part in the ‘Last Post’ ceremony at the Menin Gate in 2010, singing Parry’s “My soul, there is a country”. ( Link below). 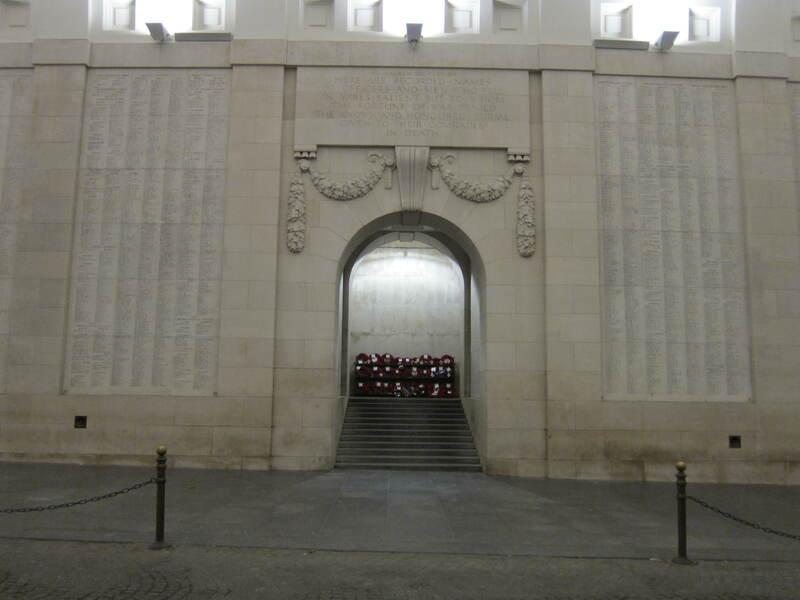 For anyone who has never been to the Menin Gate Ceremony, I say, go there soon. Make it one of those things you must do, before you pop your clogs. We’re going to have great fun on Sunday 19th November when we’ve got BBC Radio Suffolk coming over to record a short segment for an Advent and Christmas broadcast. I say ‘fun’ with much trepidation as to what some of our choristers may say when given the freedom of the airwaves via a microphone! But hopefully this will be another way of encouraging new Choristers to join us from the hordes of youngsters with so much time on their hands. As we move through November, we shall be learning Richard Lloyd’s ‘Advent Prose’, and Paul Trepte’s ‘People, Look East’ in preparation for our Advent Carol Service. Also the Advent ‘O’ antiphons, sung by the Gentlemen Choristers at various points throughout the service. So actually, there is no right time to start learning stuff for Advent and Christmas. 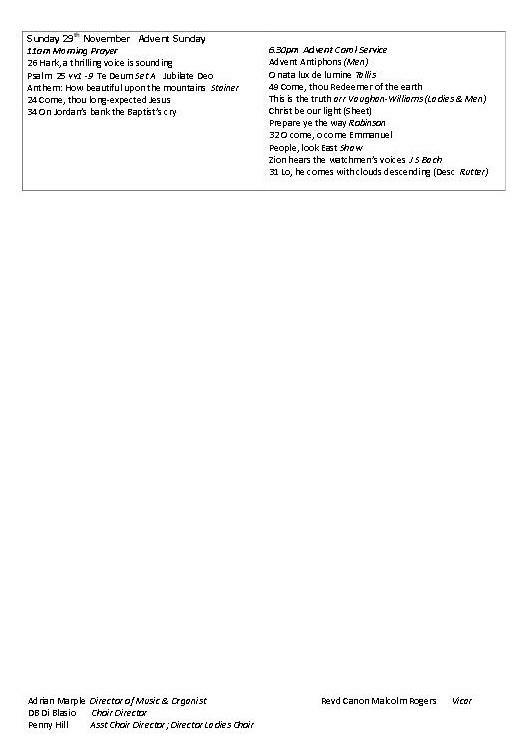 We know that we shall get phone calls and emails with reports of Christmas parties, or lost voices, or Flu which will prevent us achieving our planned music list! But we live in hope, and cannot thank our hardy parents and Choristers enough for their dedication to make it through the season. That’s all for now – Good luck to all our church, college and Cathedral choirs up and down the land as we all prepare ourselves armed with vitamin C tablets, ‘Carols for Choirs 1,2 & 3’, and a large bottle of gin for the Carol Service season! Thank you for reading this – and for all the encouraging comments I am receiving via FaceBook and Twitter. Please follow if you would like to know more. Where is St Mary’s? 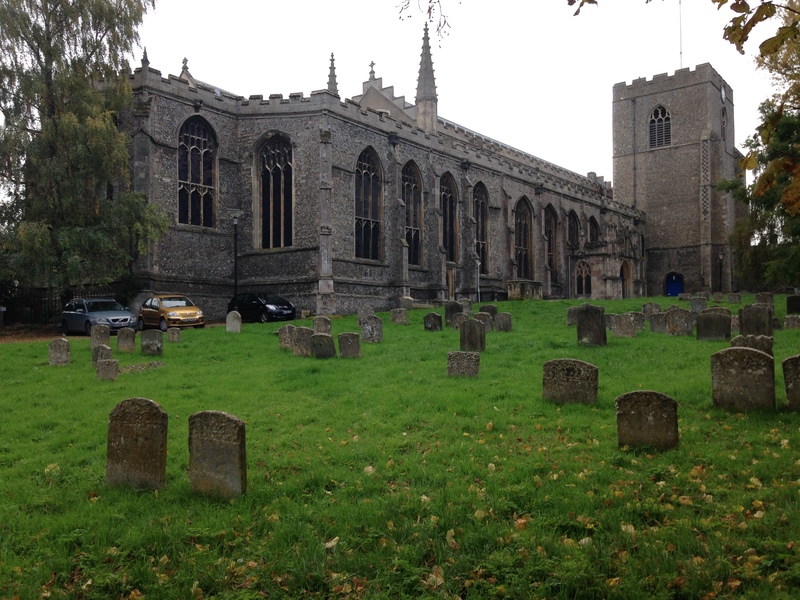 Well, if you ever visit Bury St Edmunds, close to the Abbey Gardens and Angel Hotel – we are across the Great Churchyard from St Edmundsbury Cathedral. Some would say ‘in spitting’ distance’, though I’ve never tried it. ‘A stone’s throw’ would be probably more accurate, and once again, I couldn’t vouch for that either, both buildings possessing, as they do, some fine stained glass windows. 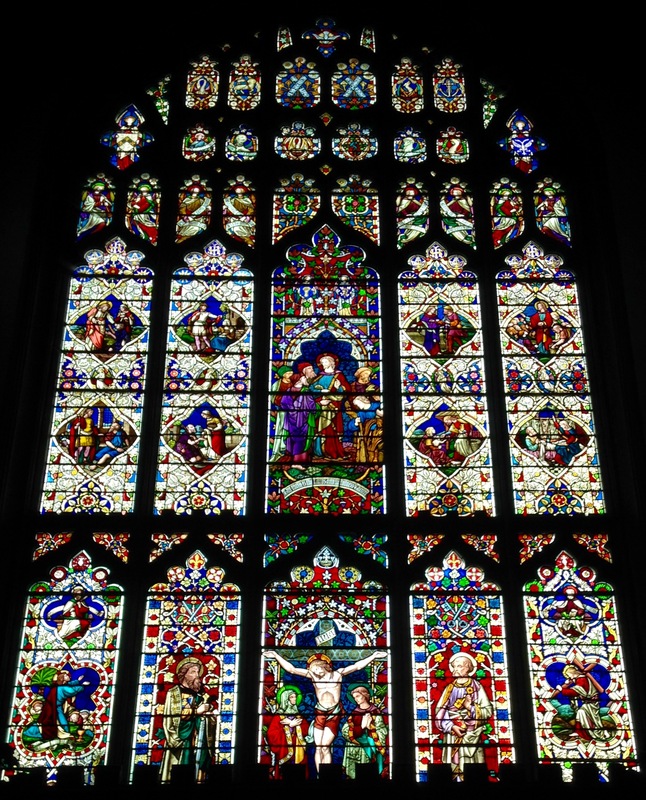 Talking of stained glass, St Mary’s lays claim to the largest West window for any Parish Church in England – it is simply stunning and well worth a visit. It’s a pretty impressive-looking beast and is the instrument on which I ply my humble trade – and which I hope you shall get to know and love via these blog tales! Better still come and visit us, if you ask nicely at the visitors’ desk, they may even let you have a ‘toot’, especially if you pretend you have travelled a long way to get there. But if you want to know more about its history, you can buy a very detailed guide written by Peter Tryon, (formerly D of M and Organist of St M’s), in the snappily-titled “The Organs and Organists of St Mary’s Church, Bury St Edmunds, Suffolk: with memories of St Mary’s Choir written by former Choristers” – (try saying that in one breath). That’s all for today, folks – More on the choirs next time. 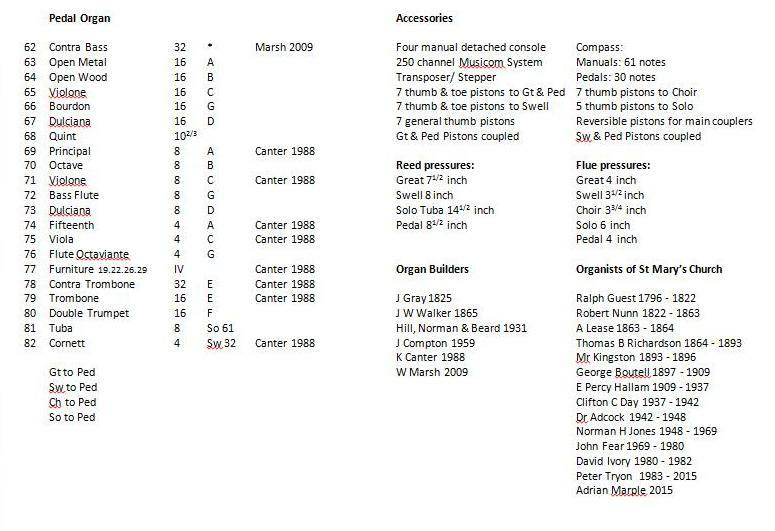 Maybe strange to start an end-of-the-month blog with last month’s music list, but it gives an idea of what we do for the main 11 am & 6.30pm Choral services each week. 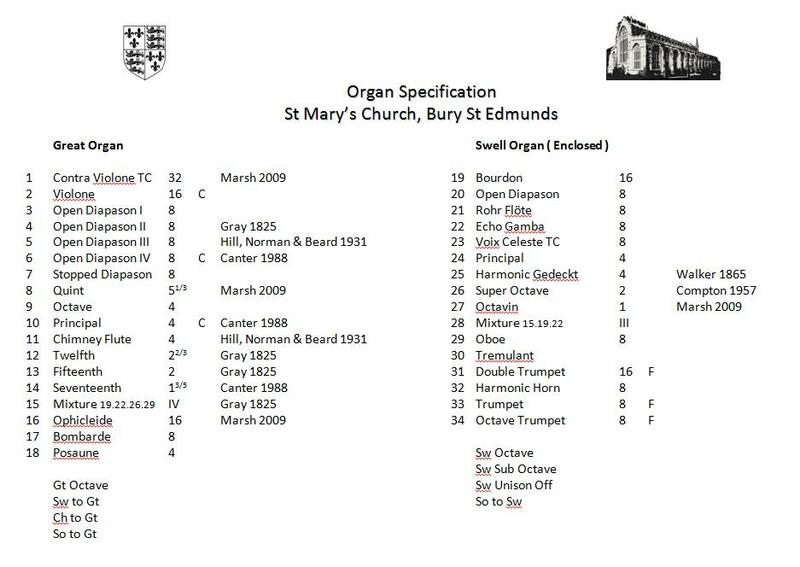 Today’s organ voluntary at the end of the service was the Toccata from ‘Toccata, Adagio & Fugue’ – J S Bach (BWV 564a) – with its’ ‘pom-pom-diddle-dee’ opening. Now, J S Bach is my favourite composer, a man of true and rare genius, the likes of which we do not see on this planet very often. But if you don’t know this majestic piece, the opening sounds like the music has just fallen off your music stand. Indeed, that was what many at St M’s thought had happened including my wife (hereinafter referred to as “Mrs M”), who very nearly ran over to the console to see what had happened! 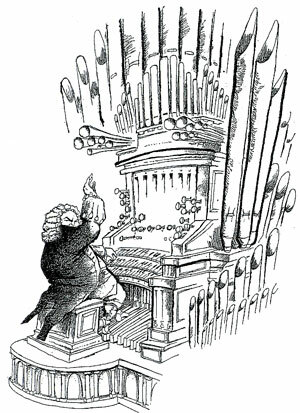 I didn’t play the whole Toccata, Adagio & Fugue today – as I was hungry. The main musical highlpoints for me this month were the introduction of a new anthem at St M’s – ‘Look at the world’ (Rutter) – a welcome addition to the harvest repertoire for us. Our boys’ choir were joined by a local middle school choir, our newly-formed fledgling girls’ choir and some of the children from our 9.30 service. Also this month, the singing of Walford Davies’ setting of Psalm 121 (“I will lift up mine eyes unto the hills”), was beautiful (and took me back to my wedding day where it was sung as an introit). A real challenge for me was the Magnificat by Burgon, where the organ part seems to bear no relation to what the singers are doing! It’s like 2 seperate pieces going on at the same time – well done to our Ladies’ Choir who valiantly picked up their notes from somewhere! 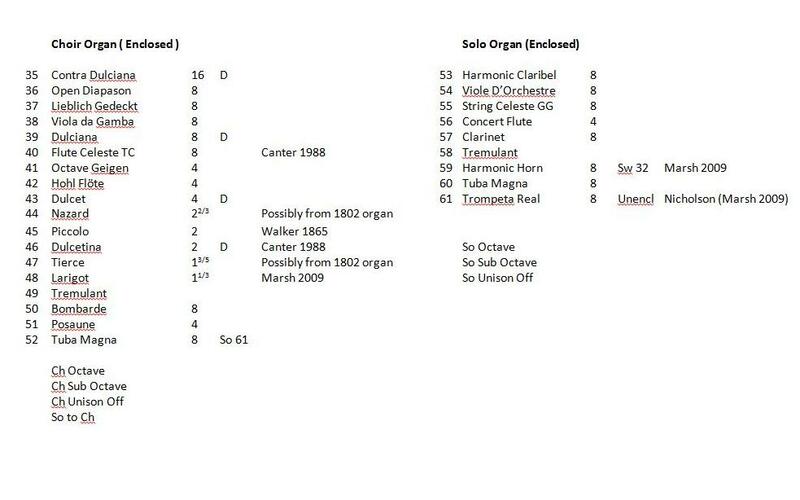 The Nunc Dimittis was the theme music from “Tinker, Tailor, Soldies, Spy” – that shows my age! Today, being the beginning of school half term for many, meant we had half our choir – so ‘Let thy merciful ears’ (Mudd) was a suitable anthem for the depleted forces. I hope all our choirs and musicians have a great half term, before returning to prepare for Remembrance Day and Advent Sunday, next month. This will be the first time I’ve attempted a blog – so I’m eager to learn more about how to do it properly! 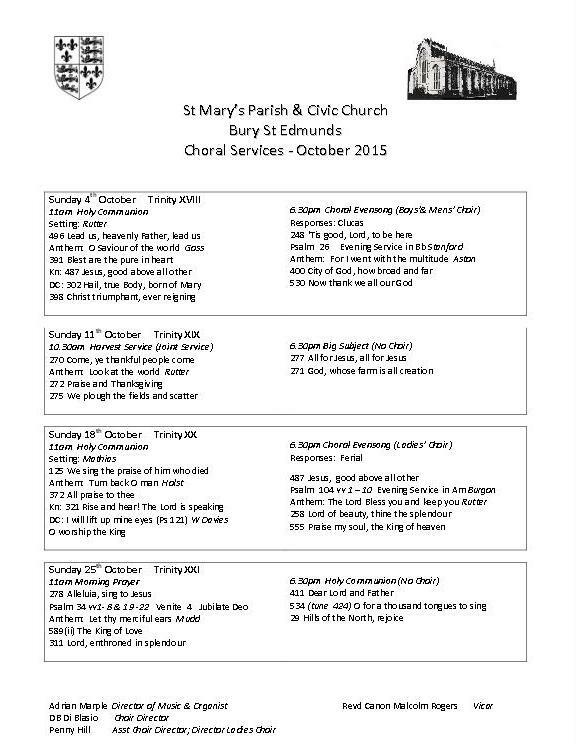 My hope is that I can share thoughts and information about the Music at St Mary’s Church, Bury St Edmunds – as that is my job! I shall try to inform, entertain (maybe), but mainly let this be a vehicle for information for how (and sometimes why), we do what we do, as we seek to use our various talents to worship God in the magnificent setting of St Mary’s Church. If you have never been to St Mary’s, go now, go tomorrow, or go soon! 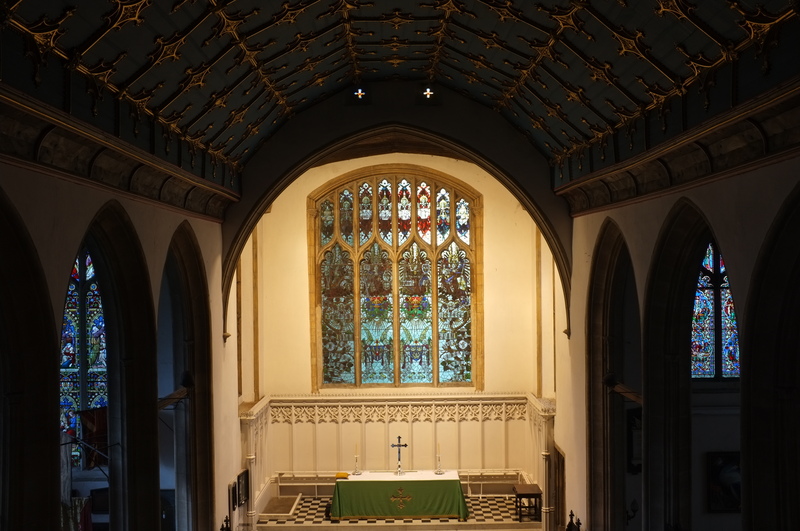 It is a superb building and houses a thriving and very active church. My job, as Director of Music & Organist is to co-ordinate the music throughout our church – we have a traditional Boys’ & Mens’ Choir, a Ladies’ Choir, a newly formed Girls’ Choir, and an ever-growing worship band for a more contemporary style of worship. We are always in need of more recruits for our choirs, so here is how you can get involved.